Childhood sweethearts Alan (Derek Jacobi) and Celia (Anne Reid), both widowed and in their 70s, fall for each other all over again when they are reunited after nearly 60 years. 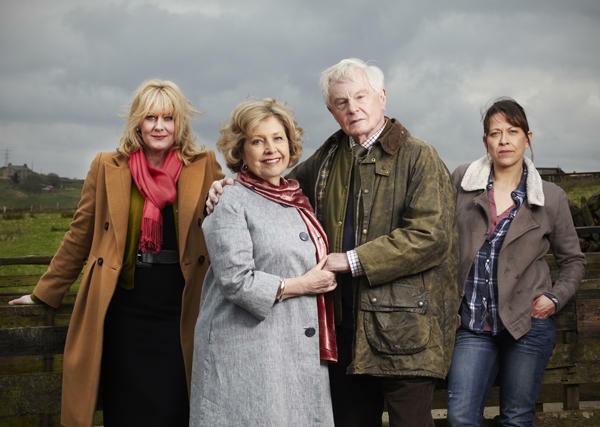 Written by Sally Wainwright (“Scott and Bailey,” “Unforgiven,” “At Home with the Braithwaites”) and directed by Euros Lynn (“Black Mirror,” “Sherlock”) and Sam Donovan (“Skins,” “Secret Diary of a Call Girl”), LAST TANGO IN HALIFAX completed its first season in the UK in 2012. The premiere ranked within BBC One’s top ten highest-rated drama series in 2012, attracting 7.3 million viewers. A second series has been commissioned in the UK. A Red Production for the BBC, LAST TANGO IN HALIFAX is produced by Karen Lewis and Nicola Shindler, with Sally Wainwright and Matthew Read as the executive producers. Full episodes of LAST TANGO IN HALIFAX will be available for viewing on the PBS Video Portal for a limited time after each national broadcast.